It’s not all about the sweet stuff, baby. 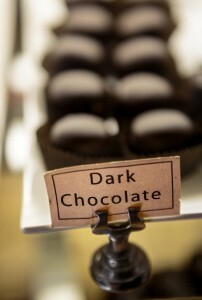 The co-owner of Wine Country Chocolates in Glen Ellen said she is seeing more and more customers eschew milk chocolate for dark chocolate, and gooey cream fillings for savory add-ins like tart apricot. Then there’s the mother lode: dark and savory together, such as Kelly’s signature hot and spicy cashews enrobed in dark chocolate. Part of the change comes from modern eaters’ increasing appreciation for bolder flavors, but there’s also a bonus. 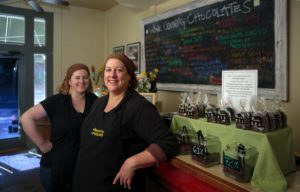 Wine Country Chocolate in Glen Ellen with co-owners Betty, left, and Caroline Kelly, right. As Valentine’s Day rolls around, Kelly anticipates that savory sweets like her dark chocolate-dipped spicy ginger skewers might start to nudge out classics like boxed milk chocolates. Her wine-infused truffles, too, rely on the assertive notes of 61 percent dark chocolate to support the acid and tannins that people appreciate in Cabernet Sauvignon and Zinfandel. Today’s chocolate experience isn’t limited to candy. Inventive chefs and bartenders are showcasing fermented, roasted and ground cacao in interesting ways, slipping it into sauces, kicking it up with chiles, and blending it into cocktails. The result: slight sweetness edged with bitter, heat and spice. 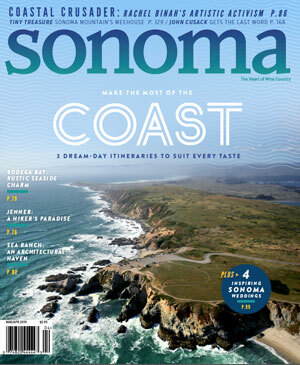 David Gambill, co-founder and chief confectioner of Sonoma Chocolatiers. David Gambill and Susan McCarn, founders of Sebastopol’s Sonoma Chocolatiers, focus strictly on dark chocolates, crafting 90 flavors in the small store on McKinley Street where signage reads, “Taste the Darkside.” Since 2008, chief confectioner Gambill has pushed the envelope with flavors such as rosemary-goat cheese truffle, mulled cider-spiced chocolate caramel, salted grapefruit, balsamic vinegar and olive oil, and chocolates infused with black, green and herbal teas from his tea house. 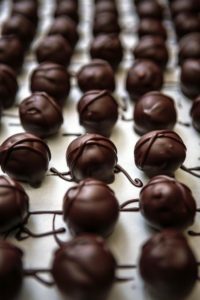 One of Gambill’s first chocolates was infused with a tea he blended specifically for a truffle, and it remains a best-seller. Citrus Earl is a marriage of fragrant lavender, citrus and sour bergamot. The creation is extra-mouthwatering when sipped with his white lavender almond milk latte. Just-made butter creme chocolates at Sonoma Chocolatiers. Gambill constantly experiments. His new orange-olive oil truffle won Best of Show in the professional candy category at the 2014 Sonoma County Harvest Fair and no wonder: it’s a tiny striped block of heaven, dairy-free and made with local olive oils. As it melts on the tongue, it evolves into a symphony of each ingredient, discernible yet beautifully merging. Latin American cuisine has long revered the savory aspects of chocolate, as the Aztecs believed that cacao seeds were the gift from Quetzalcóatl, the god of wisdom, and the seeds had so much value they were used as a form of currency. In Santa Rosa, Cookie…Take a Bite! owner Tracy Mattson honors those ancient cacao lovers with her gluten-free Aztec Hot Chocolate Crinkle cookie, sneaking in a surprising kiss of pink peppercorn, cinnamon and almond. The treats are small, pop-in-your-mouth nibbles, following Mattson’s belief that an ideal dessert is one that satiates a sugar craving but intrigues with layered flavor and a bit of heat, and is not overwhelming in size. Gambill, too, makes a peppery Mayan spice truffle, just the thing to pair with his tequila truffle. Granados’ Manhattan Mexicana cocktail includes Fee Brothers Aztec Chocolate Bitters. 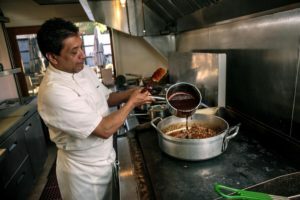 Healdsburg chef Mateo Granados looks to his own Yucatan heritage for chocolate inspiration, adding it to the cocktails and cuisine at Mateo’s Cocina Latina restaurant. 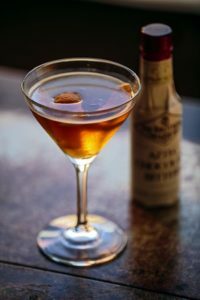 A Manhattan Mexicana cocktail teases the taste buds with sweet, sour, oak and smoke, in a mix of Tres Agaves añejo tequila, Noilly Prat vermouth, whiskey-barrel-aged bitters and Fee Brothers Aztec Chocolate Bitters zinged with peppers and spices. Cacao also plays as starring role in Granados’ mole sauce, made with Mexican bitter chocolate, baked pineapple, plantains, raisins, caramelized onions, roasted papaya and ancho chiles. “It’s often served with roast rooster, which is better than chicken because it needs to be cooked longer, and that lets the mole thicken and get richer,” he said. Mateo Granados pours mole sauce on lamb meat that will go into enchiladas. The French-trained Granados also likes French bitter chocolate for his veal chop smothered in morel mushrooms and chocolate sauce. The earthiness of the mushrooms and the rich fattiness of the veal come together with the chocolate for a silky flood of umami in the mouth. mescal and bitter liquid chocolate aperitif). The smallest savory accent can make a huge difference for avoiding sugar overload, as witnessed by the now ubiquitous trend of adding salt to chocolate. There is the immensely popular chocolate caramel sea salt ice cream sandwich created by Ozzy Jimenez and Christian Sullberg at Moustache Baked Goods and its sister store, Noble Folk Ice Cream + Pie Bar, both in Healdsburg. Bravas Bar de Tapas in Healdsburg offers a playful dessert of Nutella on toast, the chocolate-hazelnut spread spiked with olive oil, vanilla bean sea salt and orange zest. 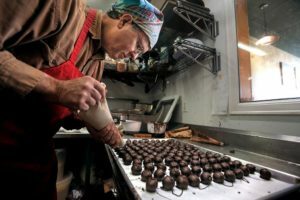 Sonoma Chocolatiers’ Gambill is so adamant about the pure powers of savory chocolate that he doesn’t add sugar to the filling in his truffles. The only sugar comes from the Scharffen Berger chocolate he uses as a coating. It may not be good news for See’s Candies, but there it is. 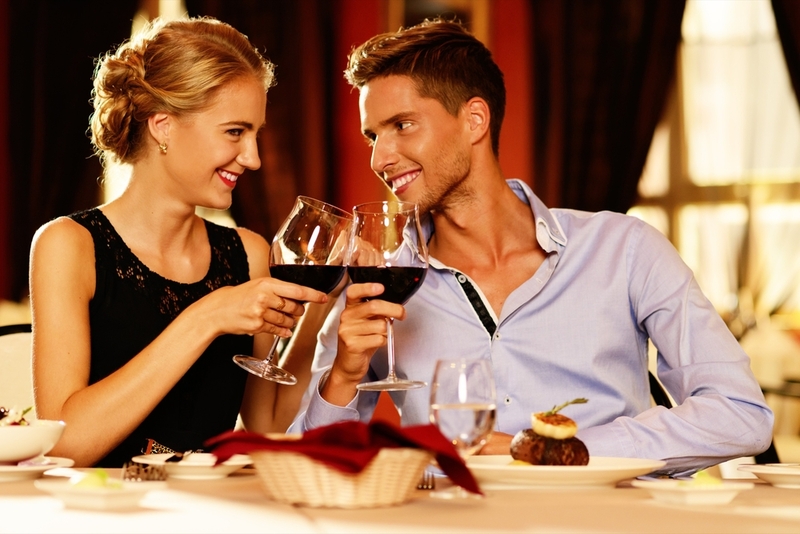 A good time for experimentation and restrained spending, this is a wine season marked by holidays intimate and grand.